Website troubles? We’re here to help. Professional, easy to work with, and adds value. These are all terms you might want a customer to use to describe your company. These same qualities should describe your website since your site is representative of your business, right? 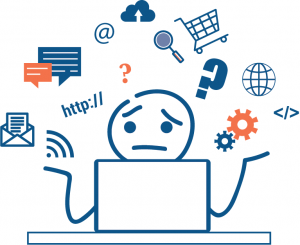 Listen to our webinar from April 11 to learn about critical website problems we can help you avoid, hear best practices, and get some tips on what you should think about before you get started. Whether you’re looking to build, relaunch, or redesign your company’s website, we have the answers to your questions. Feel free to read more about our web design and development capabilities or contact us for more information!